Have you ever wondered would be like to own an exotic animal? 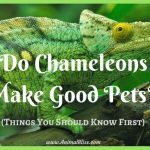 If you’re an animal lover looking for a pet slightly more unusual than the rest, there are definitely some cool creatures you should check out. Many exotic animals are much easier to take care of than you may think. What kind of time and energy does it take to own an undomesticated animal? Following is a list of 7 exotic pets to consider if you’re looking for an unusual animal to adopt into your forever home. Somewhat surprisingly, hedgehogs are not relatives of porcupines. 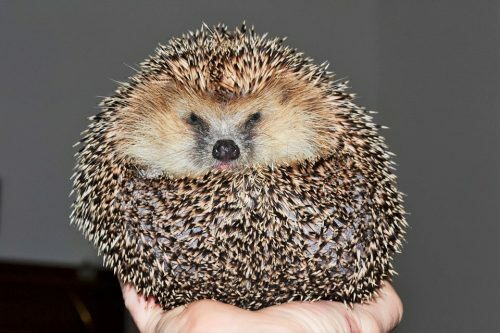 If you get attached quickly, carefully consider getting a hedgehog before taking the leap. These cute creatures generally only live between 5 and 7 years. They need to be bathed often, but because of their size, it’s a relatively simple process. Somewhat unsocial animals, hedgehogs work well with people who travel. 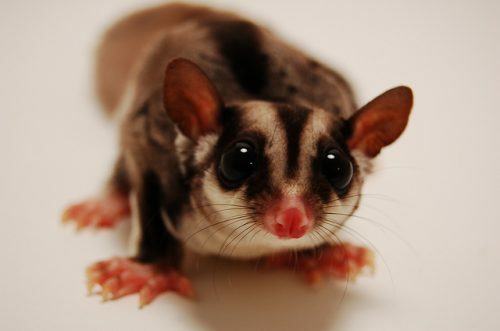 Hailing from Australia, Papua New Guinea and Indonesia, these little marsupials can live anywhere from 10 to 15 years. They bond easily with humans and are social creatures, making them a great companion. If you’re not at home often, it can be a good idea to have at least two to keep each other company. Be prepared for them to be up all night making noise, as they are nocturnal creatures. 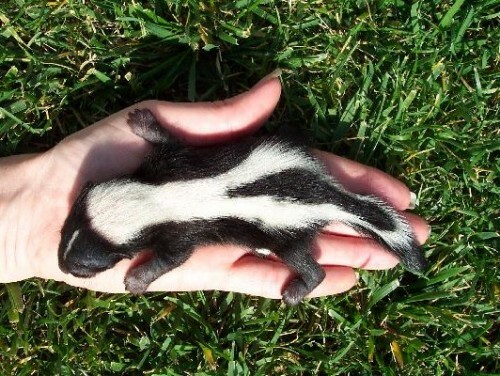 When de-scented, a skunk can make a really awesome pet. Omnivorous creatures, they generally eat things like dog food, fruit and vegetables. 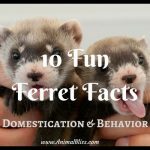 They love toys and playing outside of their cage, so make sure they get lots of playtime! They’re similar to ferrets in that sense. They love being held and cuddled, and they can live to be around 12 years old – great if you’re looking for something long-term! Skunks are not legal to own as pets in some states, so make sure you check that out if you’re considering it! Somewhat of a combination between a dog and a cat, Fennec foxes, with their large, perky ears, can be playful and rambunctious. They can also be very independent creatures and can actually be litter-box-trained. They can be fairly noisy because of how social they are. 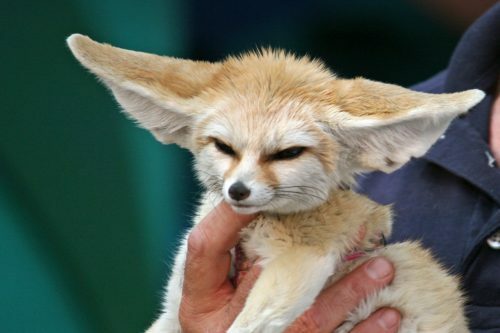 If you have a lot of time to play, a Fennec Fox could be a great exotic pet. Though they might look somewhat creepy and terrifying, emperor scorpions are not actually aggressive. Their aquarium should be heated and about 10 gallons in size. 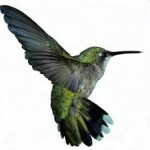 They feed off of various insects, making them relatively easy to care for. 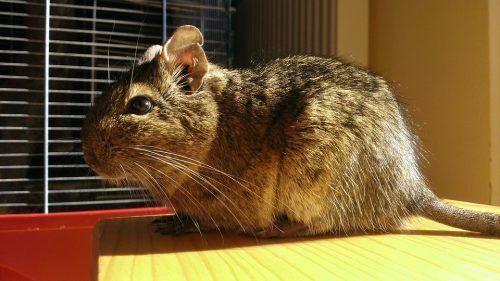 Closely related to the chinchilla and guinea pig, these little guys are pretty social and live better with more than one of their kind. They do love exercise, so their habitat will need to be large, giving them plenty of space to roam. 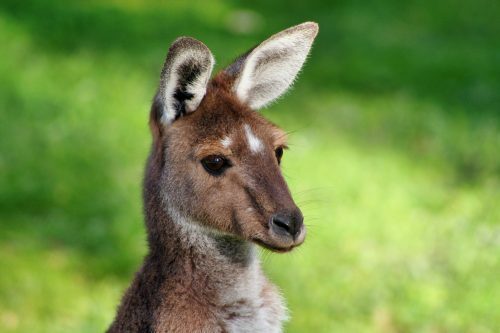 Slightly smaller than a kangaroo, a wallaby can weigh just over 50 pounds. Wallabies can jump high and run fast, so it’s important to make sure they’re safe within a pen. An area outdoors underneath a shelter is ideal. Keep in mind that you’ll need at least a 5-foot tall fence because of how high they can jump. Strickland, Agner & Associates say that animal owners have the responsibility to make sure their animals behave well. If this legal obligation isn’t met and the animal injures someone, it’s possible that the pet owner will have to compensate for any injuries. 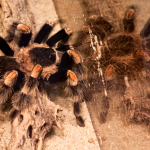 Before you become the owner of any exotic animals, make sure you’re ready to take on the responsibilities that keep both the animal and your guests safe. Exotic pets aren’t for everyone. Before getting any pet, exotic or not, please do plenty of research, and get your information from multiple sources. Join Facebook groups about the species you’re interested in, or find Forums that are monitored by seasoned pet owners. Know what you’re getting into! Think into the future, 5, 10 years from now. Pets are not to be gotten on a whim. Come can live for a very long time. 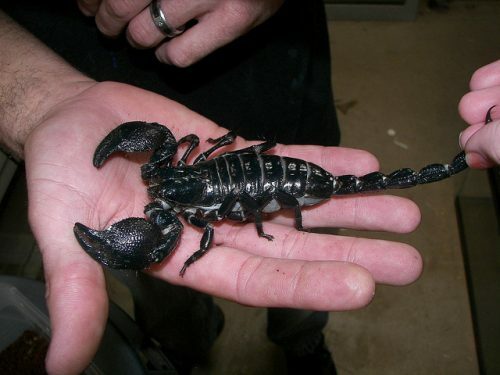 If you really want to get an exotic pet, look for a reputable breeder. Do plenty of research for this as well. It’s preferable not to buy pets from a pet store. Even better, look for rescue organizations that might have a needy animal looking for a home. There are so many animals that are abandoned or neglected because the owners didn’t do their research first or thought it wasn’t a good idea after all. Grrr. Last but not least, make sure it’s legal in your area to own the animal you’re interested in. 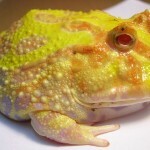 One other HUGE caution on owning an exotic pet is appropriate vet care. The same neighborhood vet that sees dogs and cats is highly unlikely to be able to properly care for an exotic pet! I live in a huge city and there are only three exotic vet clinics. Making sure an exotic pet will have proper vet care is a very important part of ownership research! Thank you, Bethany. That is so true. I can be quite difficult to find a vet that is familiar with your species of pet. Some people have to travel many miles to see the proper vet. Again, do your research! 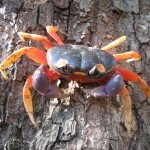 A QUESTION FOR YOU: Do you have an exotic pet? Tell us about it. We’d love to hear about it. Disclosure: Animal Bliss is an affiliate of Dog is Good and may earn commission from purchases made through links on this website. I can’t believe your site is suggesting exotic animals as pets. Wild animals need to stay in the wild, not in a terrarium, an apartment, a box, etc. I fully understand what you’re saying, Sandra. But I’m not talking about going out into the wild and plucking these animals out of the trees. The animals I refer to here have been domesticated for many years and wouldn’t know how to survive out on their own. My Bearded Dragon lizard, Shirley, for example, left the wilds of Australia some 25 years ago and has been living in the U.S. since then. She wouldn’t survive now. All our pets were wild at one time. Even our cats and dogs were wild. Thanks for your opinion, though. I honor that.